For the past week I’ve been enjoying a free summer holiday in the form of a luxury cruise. I’ve never felt so like an ancient Wandering Sophist. I’m literally speechifying for my supper. The cruise is a cashless reward for delivering homilies about the history of the sites we are visiting. I love emitting 50 minutes’ worth of opinions on matters which I personally find so exciting. The audience, who are not young, often seem asleep. But I refuse to be disheartened. In TRABZON, ancient TRAPEZOS, we relived the route taken by Xenophon and his surviving Ten Thousand when they first caught sight of the waves and yelled “The sea, the sea!” Docking in Georgia, as Jason and the Argonauts did in about 1275 BC, I was stunned by the trees and fresh breezes of Medea’s homeland; looming over the horizon is the Caucasian ridge where Prometheus was chained. In Constanta, Romania, we admired the statue of the poet Ovid, exiled there in 8 AD for mysterious crimes including poetry glamorizing adultery; now in northern Greece, besides the super-ostentatious tombs of Macedonian aristocrats, we shall be visiting Philippi. It was on this battlefield that the Roman Republic effectively met its shambolic end in 42 BC. 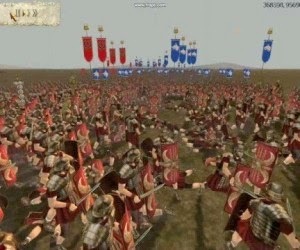 The army of Mark Antony and Octavian (who pulled a cynical sickie and avoided combat) decimated Brutus’ legions. Brutus provided William Shakespeare with some of his best rhetorical opportunities in Julius Caesar, the most politically complex play in world literature. I may have to do some declaiming in the ancient theatre of Philippi. Our last port of call will be the island of Lemnos, scene of Jason’s first romantic liaison with Queen Hypsipyle, and, more grimly, a sizable slave market. 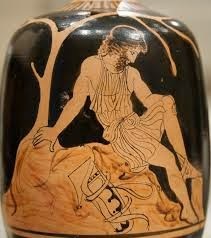 But I shall be looking for the cave where the archer Philoctetes, horrifically wounded in the leg, spent most of the Trojan War in solitary agony. Sophocles’ Philoctetes is the most morally complex play in world literature. I am about to visit the place of its actual setting. This is as good as it gets.